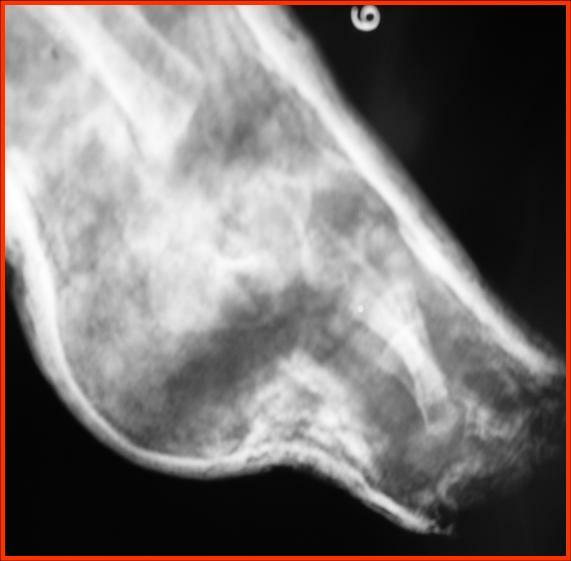 In vertical talus, there is a fixed dislocation of the talo-navicular joint, the hind foot is in equinus and the forefoot is dorsiflexed and abducted. 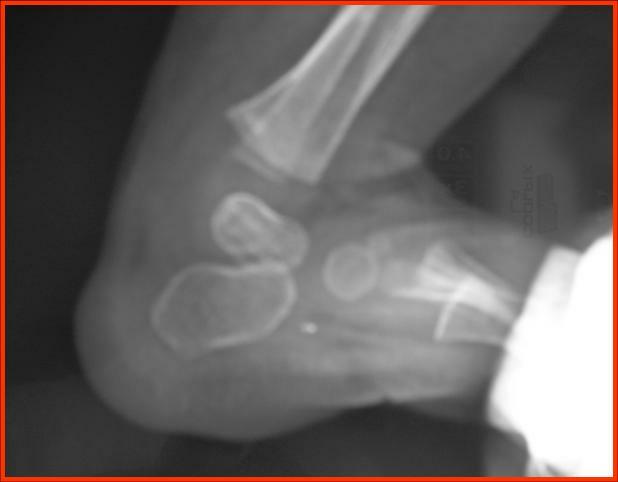 Treatment of CVT by serial casting and mini-open reduction with “Z” lengthening of the tendoachilles. Final correction after one year. 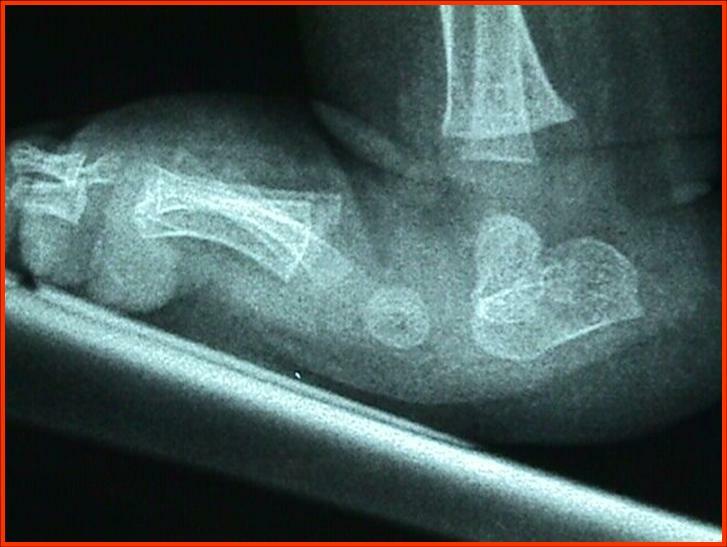 Talar alignment well maintained. 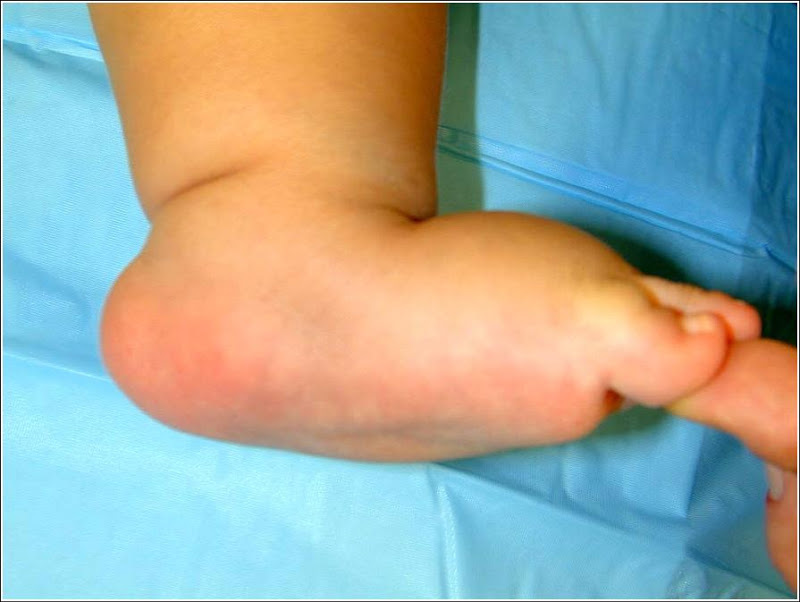 Rigid flat foot in a neonate. 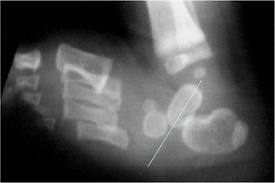 Classic rocker-botton foot appearance in CVT.